Contact | eat. cook. blog. Bon Appetit!! So exciting! Enjoy blogging and of course FOOD! Thanks for the props. I love you and Tony and all the food talk. 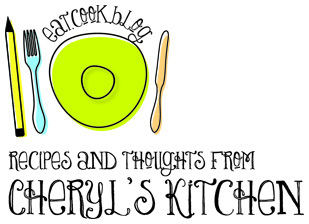 Congratulations Cheryl on your charming AND pretty new blog. It will be fun going on this adventure with you. Thank you BNFF! It’s been a while in the making, but I think it will be really fun now!! I’m planning on posting weekly. Loved our day, love the blog ….love you! OMG Cheryl, this is awesome! You know, you’ve always been my cooking idol:) Brings back many sweet memories. That’s very strange. I can’t imagine why they’d turn green!! Maybe just try another batch with mew pomegranate seeds?